Originally from Tulsa, Oklahoma, Ana Berry's career spans internationally and nationally as a TV Host and Presenter, Commercial Spokeswoman, and Journalist. She has a BFA in Acting from the Theater School at DePaul University in Chicago, studied drama at The Royal Academy of Dramatic Arts in London, French at the Sorbonne in Paris, as well journalism in the certificate program at NYU. Ana is an international spokeswoman for multiple branding campaigns including Avon, Sotheby’s International Realty, Brillante Rice in Spain and the US Spokeswoman and Global Ambassador for Charity Support Central in Honduras. As a Presenter she recently hosted the BTC (Broaden the Conversation) Israel conference in NYC #BTCIsrael and was the co-host for the NY Consul Generals’ international celebration of the 65th Anniversary of Israel’s Independence. She also was the eMCee for the National Association of Professional Womens Networking Conference in NYC. As a journalist, Ana was a NYC correspondent and reporter for EbruNews; an international news station as well as fill in reporter at WCBS and PIX 11 News. Ana is a published travel writer with AOL Travel and Peter Greenberg Worldwide. 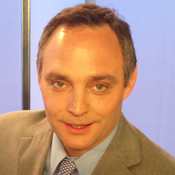 Ken Evseroff is a New York city based journalist, radio reporter, and television correspondent and anchor for New To the Street. Prior to that, Ken has 25 years of professional experience with broadcast communications. Ken has worked for CNN, ABC, NBC, FOX 5, WNBC, WPIX, UPN 9, FUSE TV, MTV, Bloomberg Television, CNBC/The New York Stock Exchange, MTV, EXTRA and numerous other TV stations as a handheld/ PED Camera operator. Ken has served as on-air reporter for the Associated Press radio network. Additionally, Ken has worked as a writer and producer for WCBS Newsradio 88 and anchor, reporter and field producer for WNYC-TV. Ken is a graduate of The New York Military Academy, and SUNY New Paltz. 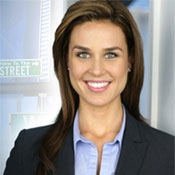 Erica Ferrari graduated Marymount Manhattan College and stepped right into a NYC news career. 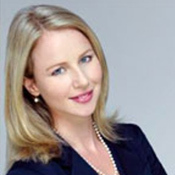 Erica has worked as an anchor, reporter and/or writer at News 12 - Bronx & Brooklyn, Fox News, NY1, Current-TV, CNBC.com, CBS Newspath and Al Jazeera America. Currently, besides an anchor at New to the Street, Erica is a news anchor at 710 WOR radio and a reporter at WPIX Channel 11. Ko Im loves the business of technology and the stories of people behind it. She has reported for CBS stations around the country and been published on several national websites. She attended the University of Pennsylvania and Columbia Graduate School of Journalism. 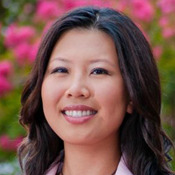 Originally from Guam, Ko is also an adjunct professor and a member of the Asian American Journalists Association.